I decided to enter 2 of my quilts into my local county fair quilt show this year. In the mini category, I submitted Shooting Star and in the Large Quilt Category I submitted Namibia Trees. Shooting Star is 20″ wide by 23″ long and is a pattern from Lee Heinrich @ Freshly Pieced. You can purchase her mini quilt pattern as a PDF in her online store: Shooting Star Mini Quilt. I was lucky enough to be able to attend the MQG SewDown Portland and take a class with Lee where she walked us through paper piecing using this pattern. This quilt typically hangs on the wall in my sewing room, and I am going to miss it for the month that it will be at the fair! Namibia Trees is 55″ wide by 55″ long and was a quilt I made on a whim earlier this summer using fabric from my stash. As you might have noticed, I have been really enjoying working with orange fabrics recently, and this quilt was initially inspired by the rich orange fabrics used to pull out and highlight the delicate orange leaves in the Bella’s Poppy Lind Fabric by Lotta Jansdotter for Windham Fabrics. About halfway through creating the quilt top, my husband made a comment about the quilt reminding him of Frans Lanting‘s beautiful National Geographic photographs of dead camelthorn trees in the Namibia desert. That inspiration named the quilt and gave me lots of things to think about and consider as I finished the quilt. In order to prepare the quilts for the show, I needed to hand sew on hanging sleeves to the backs of the quilts. The fair also requests that names or identifying labels be covered, so I had to sew down covers on top of my quilt labels as well. I found a simple quilt sleeve tutorial (link opens a PDF) online that I followed. You might be thinking, but if Shooting Stars hangs in your sewing room, why didn’t it already have a quilt sleeve? Good question! I actually like to use thumb tacks to pin my quilts to the walls. I find using the tacks to be a lot less permanent and disruptive to the walls, so when I decide to move the quilts around I don’t have a lot of drywall repair / patchwork to do. The thumb tacks also do not really damage the quilts, a bit of massaging and the holes just disappear. Now, I am sure there are better ways to hang quilts, but the method is currently working well for me! I had enough of the fabric used for the backing of Shooting Star to make the quilt sleeve, and it looks pretty nice, I think! I used some Kona White to create the sleeve for Namibia Trees. I will be delivering these quilts to the fair on Sunday, August 3rd. This whole process is new to me, so it will be interesting and a learning experience, I bet! I am really looking forward to going to the fair in the middle of August and seeing my quilts on display! How exciting! I bet it will be super fun to walk in and see your quilts displayed with the others. 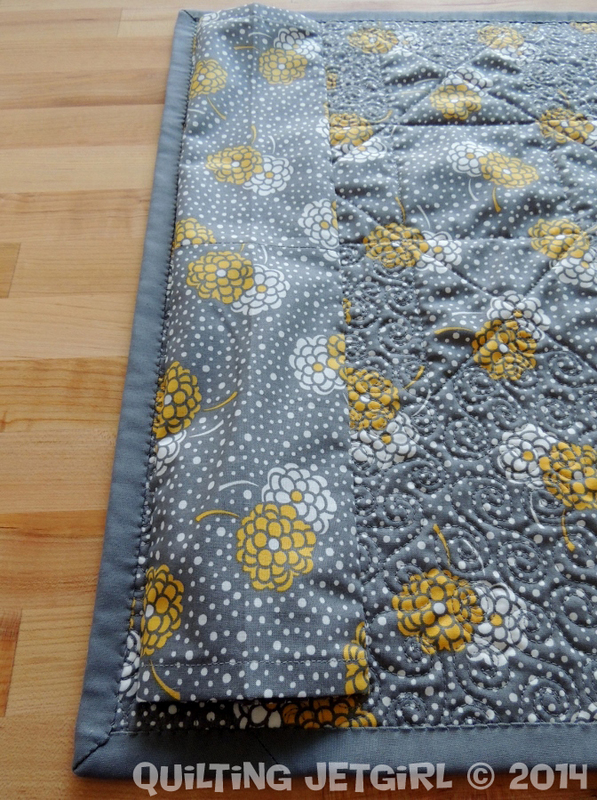 Love the shooting star – the quilting is really cool. I love those swirls! It’s great that you are entering the fair. Here in Albuquerque, the guild I’m a part of helps with the judging at the state fair. It’s great for the public to see the variety of quilts people are making, and realize that there are some really neat things that go well beyond old ladies’ bed coverings. How exciting! I’m planning to enter three quilts in the state fair…not sure of the third one yet, but entries aren’t for another month. I love both, I think they are awesome. It is exciting to have your quilts at the fair. I’m thinking about submitting one to ours as well but that is stil WiP as it takes place in April 2015. Yay,brilliant to see your own work hanging there – wish there was a fast way to handsew hanging sleeves though! They’re both gorgeous and I bet it will be a big buzz seeing them displayed at the Exhibition. I especially like all your fabric choices for the ‘frames’ around the trees, they’re really effective altogether. And your quilting on both looks amazing. 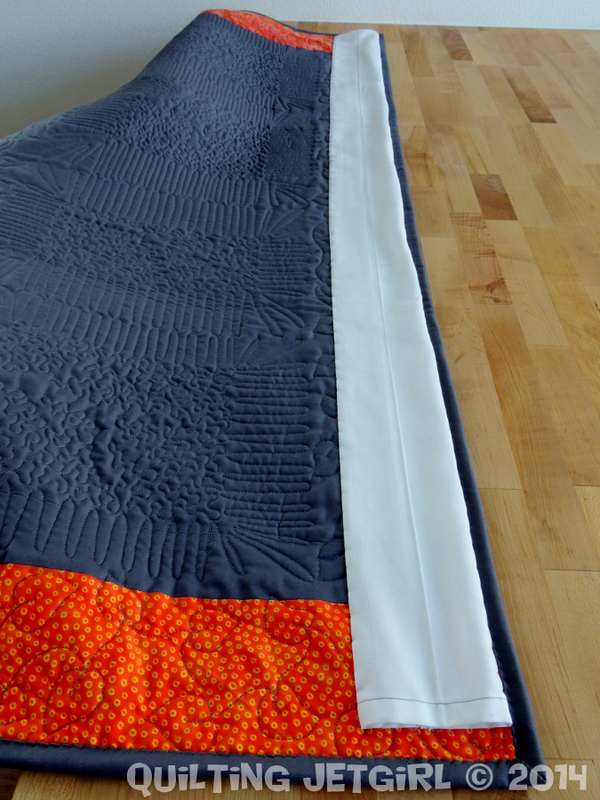 I am about to start quilting my first quilt that is definitely going to be hung on a wall and not draped on a bed or couch, so I appreciate the links to quilt sleeve tutorials. In theory, I know how, but theory and practice are two different beasts! I adore those Namibia trees! Both are beautiful. I imagine it will be a lot of fun to see your quilts hanging at the fair.